Party Rental Ltd. is an event rental company. They serve the Northeast and Mid-Atlantic Regions. The iconic Pink Hippo trucks are easily recognized. When visiting New York City, the pink trucks can’t be missed. Their offerings include the largest selection of party items and catering equipment. Each year Party Rental supplies rental products to over 50,000 events. Attributing their success to excellent customer service, quality rental items, and product variety, Party Rental is a leader in their industry. 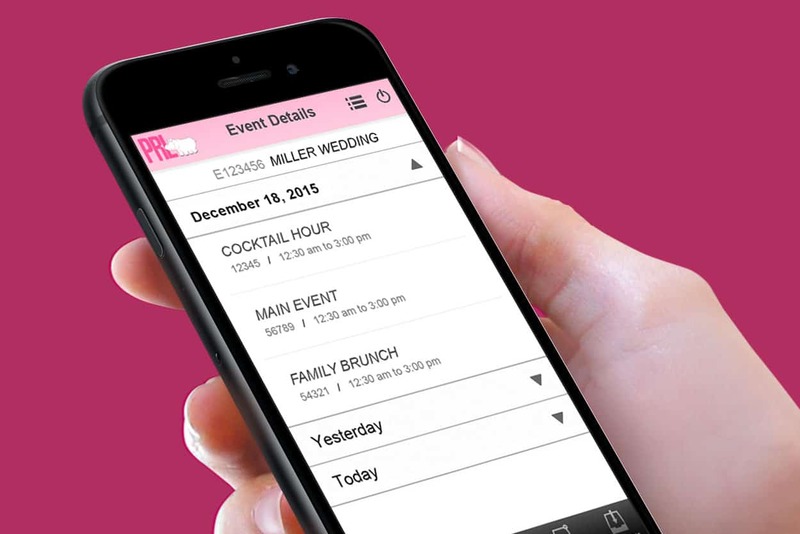 Recognizing the growing trend for iOS & Android mobile application use, Party Rental’s web based application wasn’t meeting customer expectations. 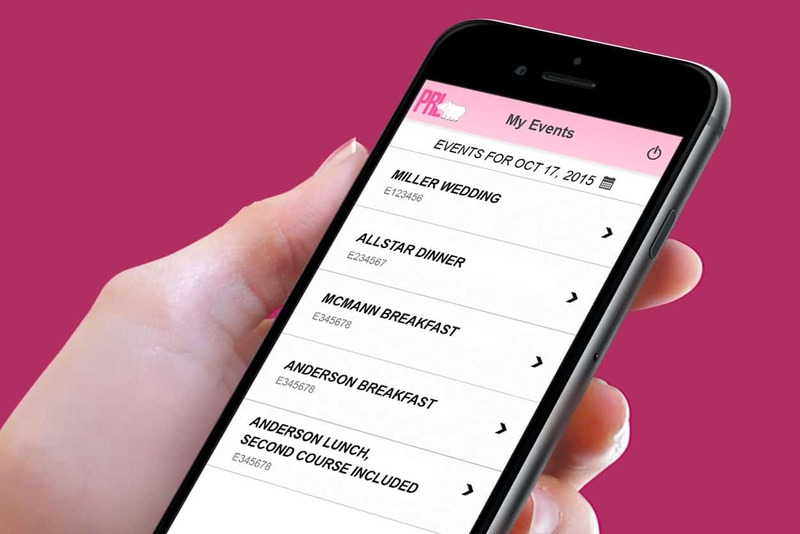 To continue providing excellent customer service, Party Rental needed a custom event tracking mobile application giving their customers access to their order information. Party Rental customers need real-time order/event tracking information. The event tracking mobile app features must include tracking and quickly displaying current order, product, and delivery details. The mobile app development platform includes supporting iOS & Android devices. Lacking the mobile development skills needed, Party Rental partnered with Invonto for collaborating, designing and developing a Party Rental branded mobile application solution. Using storyboards and use cases ensures accurate capture and communication of Party Rentals ideas and concepts for the mobile application. Through several rounds of use case reviews, the mobile app functions are clearly defined and documented. They include viewing orders, viewing order details, delivery schedules, real time geo delivery tracking, submitting issues, and viewing products. After finalizing the event tracking mobile app’s basic functions, the features were prioritized. Using this input a development time line was created. Being sensitive to the client’s launch times and initial investment costs, the development effort is broken into 3 phases. The development includes creating screen mock ups that emulate the user experience. A web service / API layer for interfacing the mobile app to Party Rental’s web back-end. 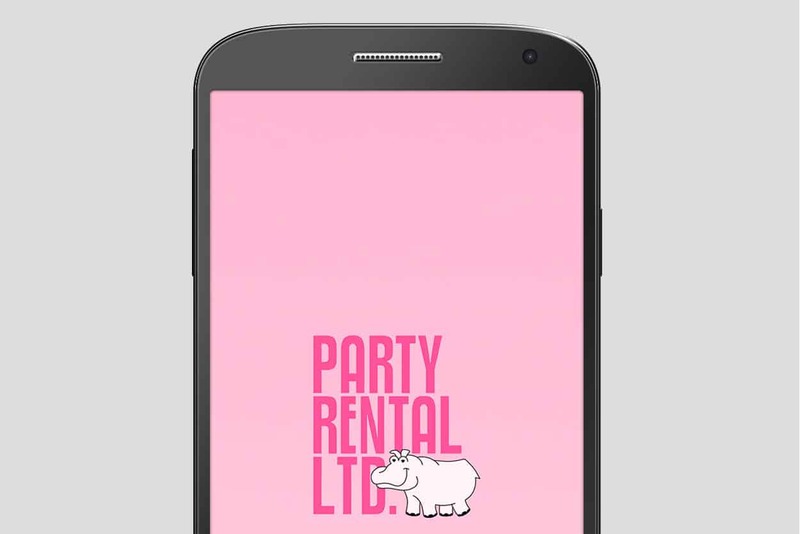 Lastly a Party Rental branded mobile app for iOS and Android device platforms. 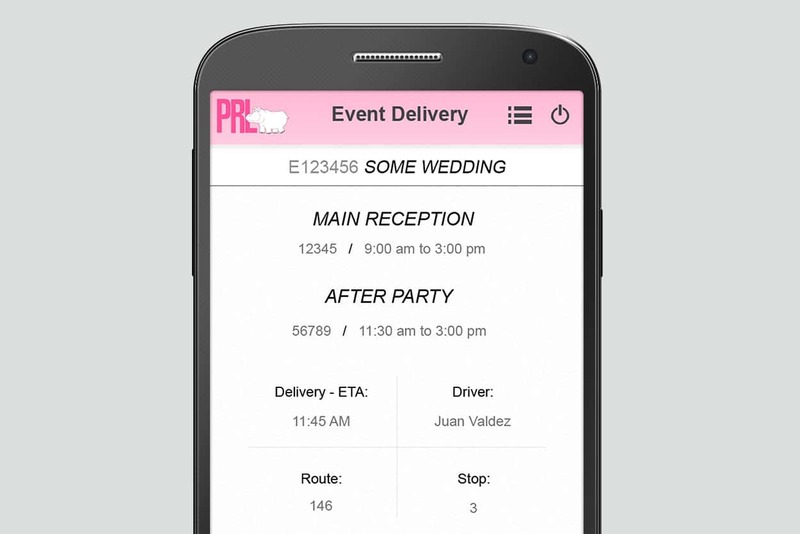 PRL app helped track product delivery, making it easier for the event managers to know when their shipment will arrive. The app helped reduce customer service calls for shipment tracking by over 40%.